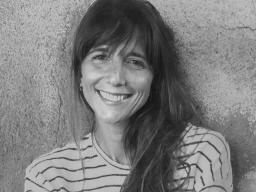 Laura Ferrero is a journalist and an editor and she has been branded as a “breakout author” after the publication of her first book of short stories Piscinas vacías (Alfaguara, 2016). She combines her work for various publishers and cultural institutions with a passion for writing. She is the author of the blog « Los nombres de las cosas» and her articles and reviews have been featured in ABC Cultural, La Vanguardia or FronteraD. Qué vas a hacer con el resto de tu vida (Alfaguara, 2017) is her debut novel.